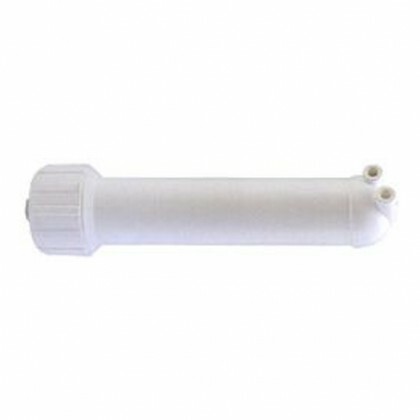 RO Membrane Housings are used to hold reverse osmosis membranes. 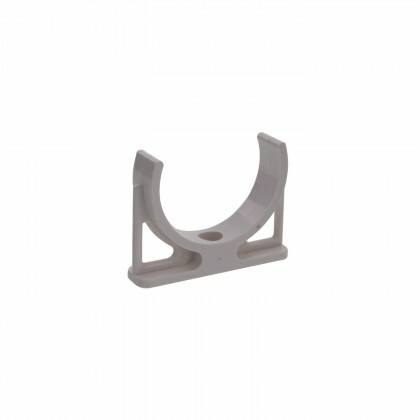 Clips are available to hold the RO membrane housing. There are also clips to hold the RO membrane housing and an inline filter together. See more information on RO membrane housings and increasing your GPD production below. How to Increase the Gallons Per Day (GPD) of your RO System If you have a standard sized membrane (11.75" to 12"), you can increase GPD of your Reverse Osmosis System in order to increase the daily production capacity and the speed at which the RO water is produced. This will ensure water is available at busy times of the day and also ensure adequate flow to the ice maker. If the ice maker does not have enough flow, it can burn out. The reverse osmosis membrane upgrade is simple on most reverse osmosis systems. (2) Determine if you have a standard membrane. You know it is standard if the membrane inside the membrane housing is approximately 1.75" W X 11.75" L (up to 12" L). Standard membranes include TFM-24, TFM-50, TFM-100, TW30-1812-36, etc. (5) Select the matching inline flow restrictor per the chart on the Flow Restrictor page. The RO membrane GPD and flow restrictor must be matched to keep the proper balance between waste water and pure water. If they are not matched, this can cause excessive waste to the drain or premature membrane fouling. Under-sizing the flow restrictor in order to run the system at higher recoveries results in premature scaling of the RO membrane, shorter membrane life, and/or an increase in higher-TDS product water.